Japan’s Chugoku region is located on the western part of the main island of Honshu. Five prefectures; Hiroshima, Okayama, Shimane, Tottori, and Yamaguchi comprise the Chugoku region. 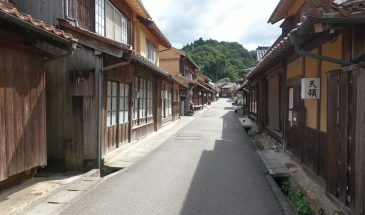 Filled with towns and villages that are seemingly frozen in time, virtually unchanged over a course of centuries, in the Chugoku region you can experience the rich and unique history of Japan and the region. The Chugoku region is naturally divided by the Chugoku Mountains. The northern part that faces the Sea of Japan is known as San’in, or “the shaded side of the mountain”, while San’you denotes the side of the mountains blessed by the sun’s rays. 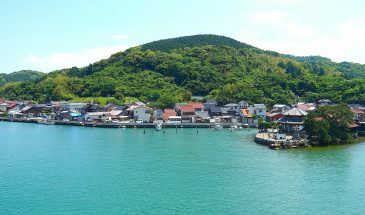 Together, the expansive Sea of Japan coastline in San’in, with the sun of the San’you region, give birth to an area that is abundant in natural resources despite its rather mountainous terrain. Learn more about the Chugoku region here.